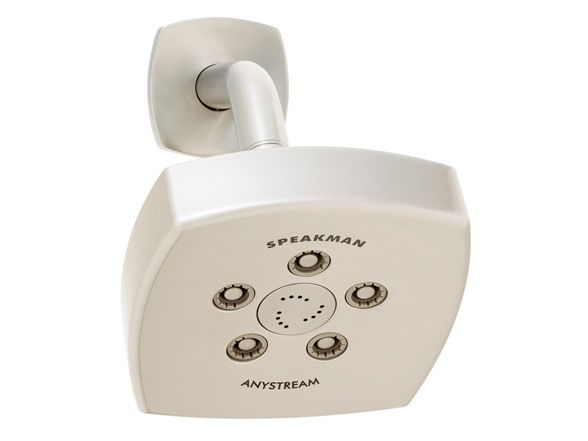 The concept behind the Speakman Tiber Shower Head began with the idea of combining bold, pronounced features with soft, elegant designs. 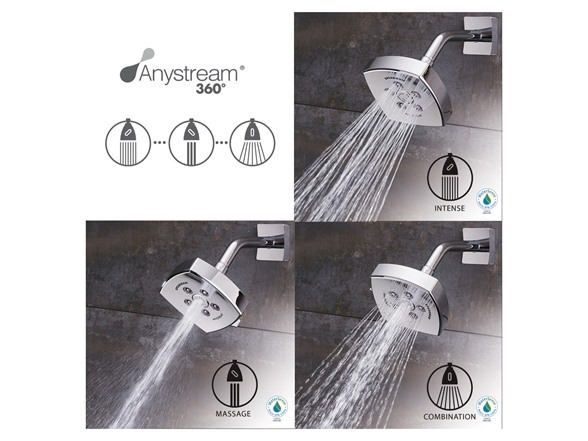 By expertly etching smooth, round curves into a distinct, square frame, we created a shower head that will not only be the centerpiece of your modern bathroom, it will proudly revitalize your bathroom’s current décor.The Tiber Shower Head features Speakman’s patented Anystream technology, providing an endless array of spray patterns suited perfectly to your personal preference. 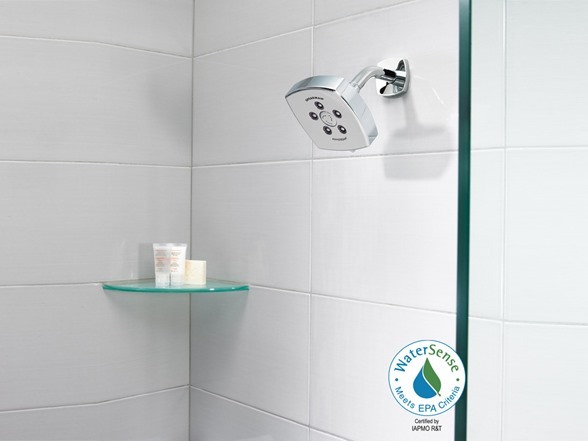 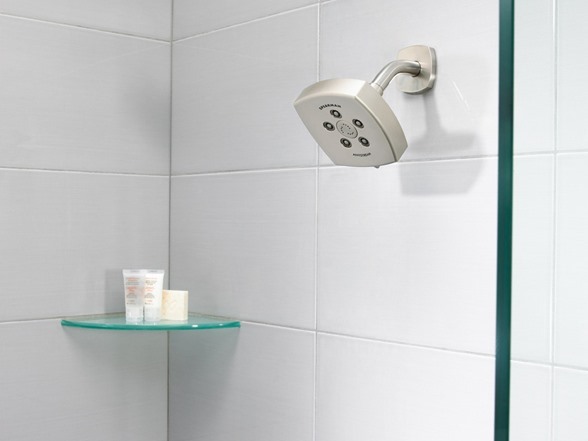 A simple rotation of this square shower head’s face will produce a vivid variety of diverse, euphoric sprays. 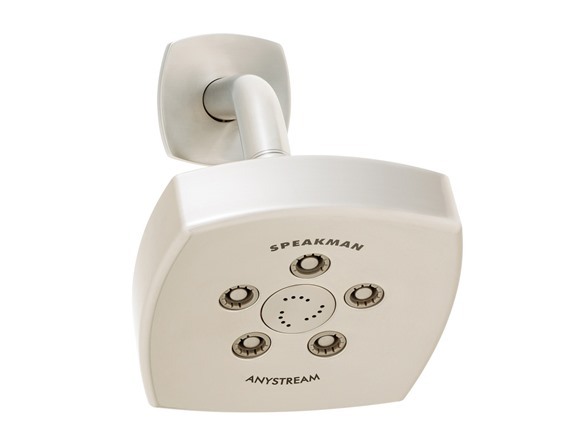 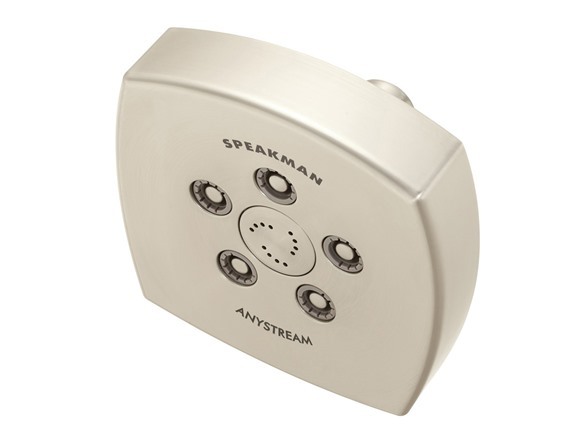 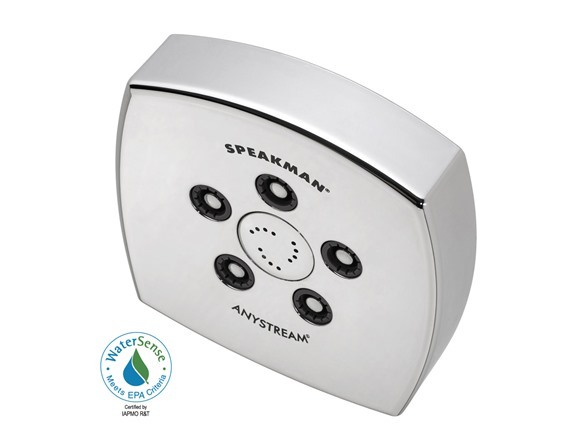 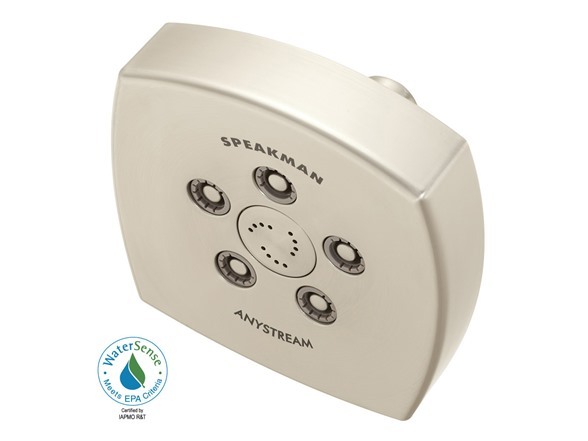 Whether you prefer intense streams of individual sprays, massaging blasts from specific, pulsating jets or anything in between, the Speakman Tiber shower head provides endless possibilities for a blissful bathing experience. 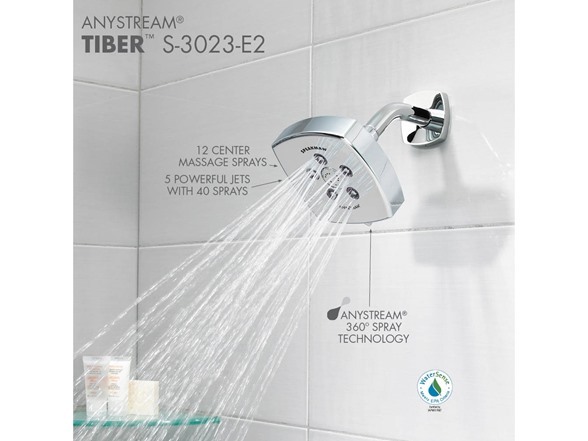 The Tiber shower head is offered in two distinguished finishes to seamlessly blend with your existing bathroom fixtures.